Chance The Rapper is the latest cover star of Teen Vogue in the US. 10. 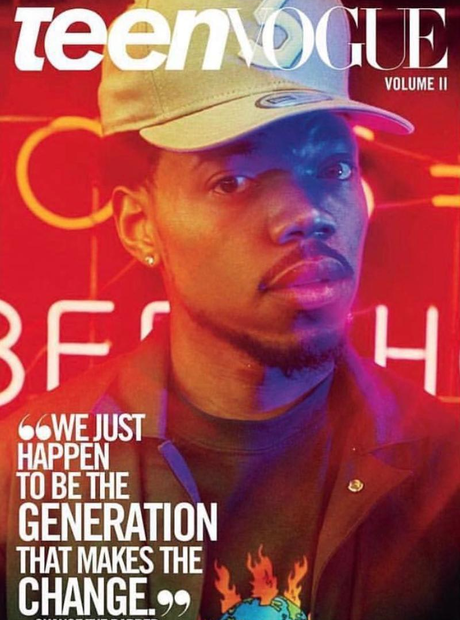 Chance The Rapper is the latest cover star of Teen Vogue in the US.